how customers move and interact with products in your store. The innovative platform that localises assets staff and patients in real-time and with high accuracy. Analyze your processes and reduce costs, while delivering a better experience to patients. We are web analytics for physical spaces. We make a physical space smart, where movements of people and assets are monitored in real-time, analysed, transformed into actionable KPIs and used to suggest interventions able to optimise the efficiency of processes and enhance customers experience. ThinkIN collects location data from a large variety of Internet Connected Devices. ThinkIN processes data through advanced Business Intelligence tools and algorithms. ThinkIN visual analytics are used to provide actionable insights, supporting the decision-making in the improvement of business processes and enhancement of efficiency. A powerful rule engine allows to define automated actions (push of notification and delivery of contents) based on contextual cues such as actual position, profile information and date/time. ThinkIN provides an off-the-shelf solution able to make indoor environments ‘smart’ by: monitoring in an unobtrusive and privacy-preserving way the movement and behaviour of people; providing actionable, statistically significant KPIs able to effectively support business decisions; supporting the delivery of context-aware personalised services. Analyze customer behavior by tracking shopper’s routes from entrance to exit with shelf and product level accuracy. Measure the effectiveness of different store layouts and optimize product placement & shelf space revenues.y. iot Interact in real-time with Internet connected objects and devices in your store. 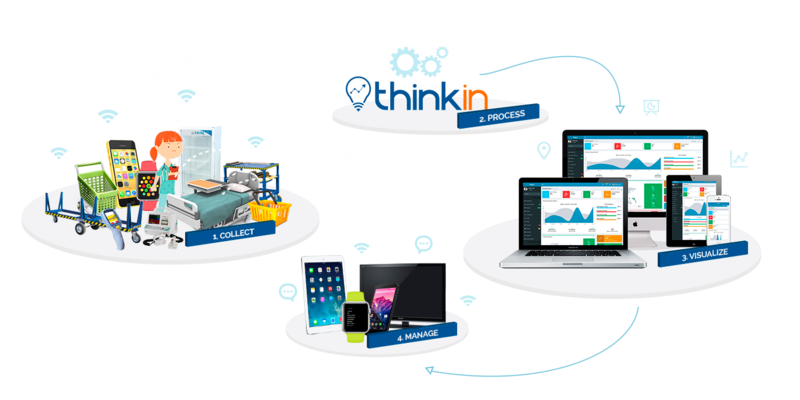 ThinkIN for Industry4.0 is an advanced IoT/Big Data solution for the Smart Factory. Monitor in real-time industrial workflows by tracking the position of industrial assets and workforce members. Digitalise permit-to-work procedures in order to control and audit effectively the work performed by third parties. Analyse deviations from processes and procedures and improve the efficiency of industrial workflows. Improve the security and safety of your workforce by monitoring their position and their behaviour in case of risk events. 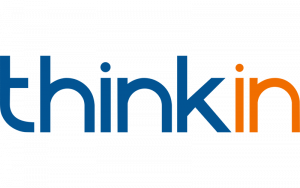 ThinkIN for Healthcare is an advanced Internet-of-Thing-based solution for the real-time and location-based management of healthcare assets, staff and patients. Monitor staff and patients in real-time, reducing costs and increasing revenues. Manage risks based on data evidence: protect your patients and reduce your liability costs. Provide a better service to patients by monitoring with high accuracy in real-time, hospital daily operations. Analyse your business processes, identifying inefficiencies and improving the overall patient experience. Build advanced real-time services based on the accurate position of assets and people. Build rich analytics and KPIs from location data in order to extract knowledge and optimize business processes. Trying out the service is easy, test it out and quickly expand across all your physical properties. Our support engineers will guide you through the various steps in setting up a pilot.